One of the simplest ways to help our fellow Americans saddled with disabilities and other barriers to success is by handing over your old and unwanted vehicle to our Amsterdam, New York car donations program. An automobile that’s no longer useful to you can be capable of improving the living conditions of the disadvantaged individuals and families in your area. We at Goodwill Car Donations turn all vehicles donated to us into fund-generating tools to support Goodwill nonprofit organizations all over the country that deliver vital assistance to our underprivileged fellow citizens who are trying to overcome joblessness and poverty. We sell these vehicles at auction and use the proceeds to support Goodwill’s anti-poverty programs in various areas of the country. Here in Amsterdam, New York, the funds go to the Goodwill organization serving this area, financing its programs and services such as job training, employment, work readiness, internships, rehabilitation, treatment, and recovery. The beneficiaries are your fellow New Yorkers who have developmental, intellectual and behavioral or health disabilities, and other obstacles to getting a decent job and a stable source of income. The programs provide them with the right skills and education to enable them to qualify for suitable jobs, thus breaking free from the grip of poverty together with their families while gaining financial independence and becoming productive members of your community. You can play a major role in this transformation by giving away something you no longer want anyway—your unneeded automobile. That’s not all! We at Goodwill also care about our donors as much as we do our beneficiaries. We offer the most convenient donation process and provide free towing service and, best of all, hefty tax deductions. Goodwill Car Donations provides a donation experience that’s not just quick and simple but also one that doesn’t involve much effort or cash from our donors. Since you’d be taking part in a worthwhile cause, we’d like to return the favor by making it easier for you to make a donation. You can trust us to take care of everything for you! Once you’ve made the decision to contribute to our Amsterdam, New York car donations program, just contact us. You can either give us a quick call at our toll-free 24/7 hotline 866-233-8586 or fill out our online donation form, which you can find on all pages of our website, including this page. Tell us your personal contact information and some basic details about the vehicle you plan to donate such as its make, model, mileage, vehicle identification number, working condition, and title availability. Tell us also the date, time, and place where you want us to pick up your vehicle. Take note that all our towing services are free and that we can pick up your vehicle anywhere in the country. The professional towing company that we’ll assign for the job can pick up your vehicle a day or two after informing us of your decision to donate. 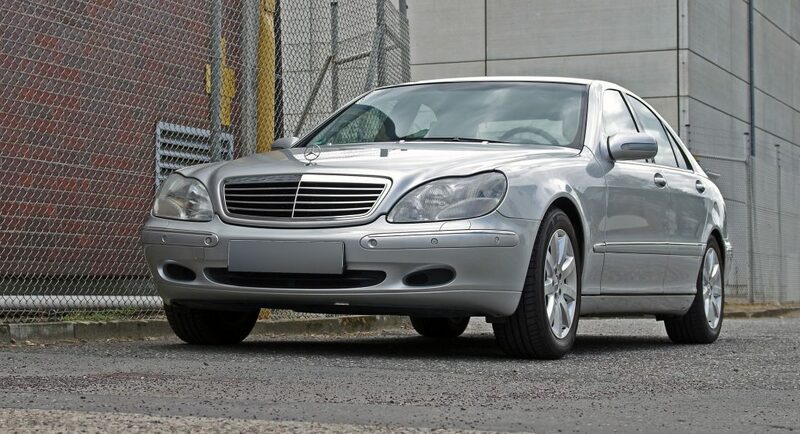 We will take your vehicle to one of the best auction houses in our network. Once it is sold, we will mail to you your 100-percent tax-deductible sales receipt. Expect it within a month after we sold your vehicle. Be sure not to lose the receipt since that’s what you’ll need to claim your tax deduction when you file your itemized federal income tax return for the next tax-filing season. If you have any questions regarding our Amsterdam, New York car donations process or any related matter, feel free to call us at 866-233-8586. You can also visit our FAQ’s page or send us a message online. At Goodwill Car Donations, we’re not picky when it comes to the types of vehicles we receive. Regardless of the age, model or even the running condition of your automobile, as long as you still have its title with you, we’ll be happy to accept it as your contribution to our Amsterdam, New York car donations program. If you’ve lost the title, just call us and we will help you secure a duplicate title quickly so you can proceed with your car donation. Are you bothered by your car’s physical state? Do you have doubts about its eligibility to our Amsterdam, New York car donations program? Don’t hesitate to contact us, and we’ll promptly settle the questions in your mind. Go through a donation process easily at completely no cost to you. Schedule your car’s free towing at your own convenience. Spare yourself from the hassles of handling donation documents since we’ll be the one to do all the paperwork. Save plenty of money once you stop spending for your car’s repairs, maintenance, registration, and insurance coverage. Avoid the costs and headaches associated with reselling your old car by yourself. No need to waste your time dealing with pesky hagglers. Give your garage a fresh and improved look. Get an opportunity to team up with a prestigious Goodwill organization in your area. Experience a sense of fulfillment knowing that you’re making a huge positive impact in your community with your car donation. Excited to give your old car or truck a new purpose? Transform lives with it now by donating it to Goodwill! Call us at 866-233-8586 and take part in our Amsterdam, New York car donations program.